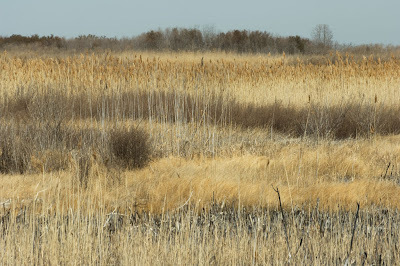 Today, Annette and I headed to the marshes of coastal Delaware. We had beautiful blue skies in the morning with thin light clouds and by the afternoon we had overcast skies with soft even light. I was in the mood for looking at the landscape as an impressionist. 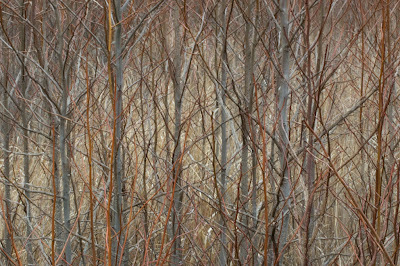 I saw the beautiful textures and subtle colors of the marsh as swipes of color and soft forms. 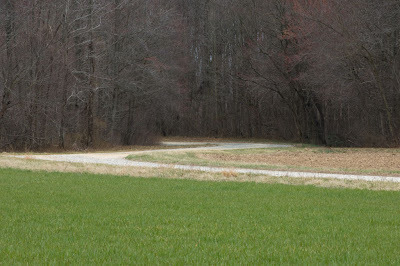 In the late afternoon I saw the s curve in the wildlife preserve road against the green grass and brown trees as a swipe of lightness dividing the two tones. 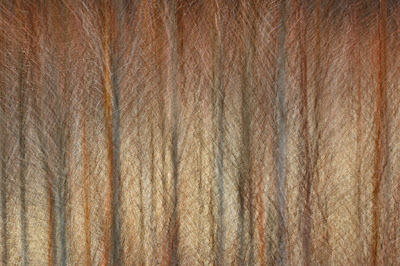 In the grasslands and small shrubby trees on the borders of the marsh, I saw the opportunity to make some multiple exposures of the soft hues and textures. Here are six shots, the straight shot of the scene and the impressionist shots. 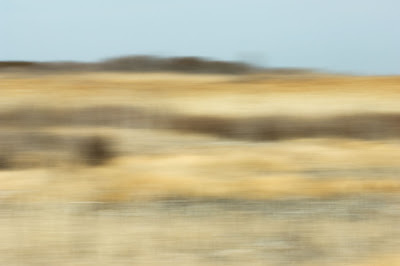 The landscape swipes are done by moving the camera in a horizontal pan as the exposure is being made. This process calls for lots of swipes until the desired effect is achieved, either by slowing down, recomposing or speeding up the motion. The multiple exposures are in camera 9 exposures, and as each exposure is made moving the camera ever so slightly in a vertical fashion.